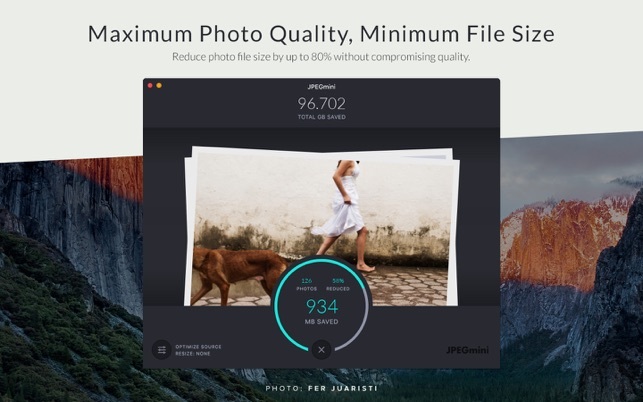 JPEGmini has been reviewed and praised by dozens of photography publications and bloggers, among them are: DPReview, Forbes, Fstoppers, Petapixel, Macworld, Photography Life, Phoblographer, Shotkit, Noupe, SLR Lounge and many more. "As far as ease of use, it is hard to make a simpler piece of software. When you are using the desktop software, you simply drag your JPEG files onto the program and then the JPEGmini Algorithm does its magic, compressing your images and saving you tons of space." 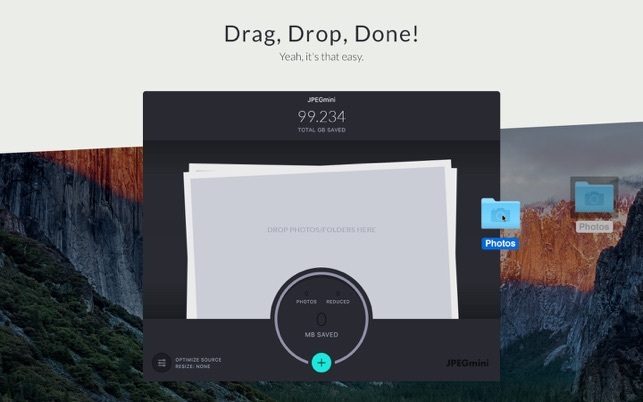 It’s as simple as Drag, Drop, Done. Press the “Choose” button to select individual photos, or drag a folder or group of photos onto the app. 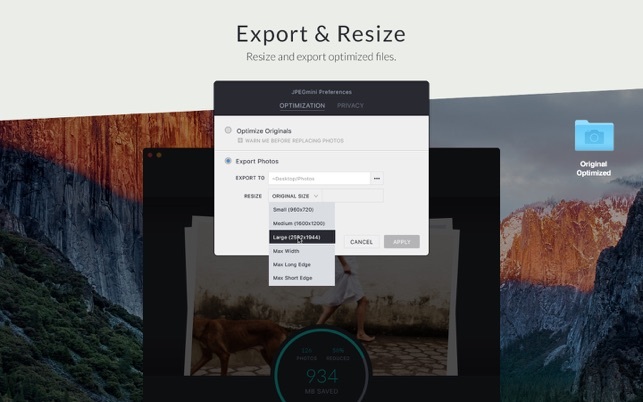 During the optimization process, you will see a preview of your photos, and a rolling counter with the amount of disk space you are saving. 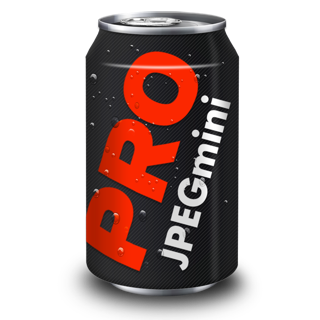 JPEGmini is a tool intended for professional photographers who are constantly challenged by the bloated file sizes of photos and the constraints it puts on them. I was astonished at first at the space savings, without image quality loss. 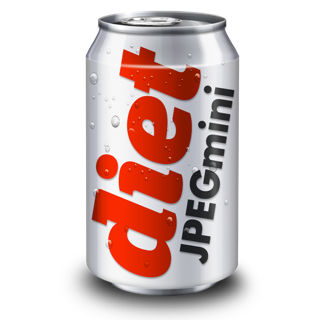 Now, years later, JPEG mini is a regular part of my workflow with images. 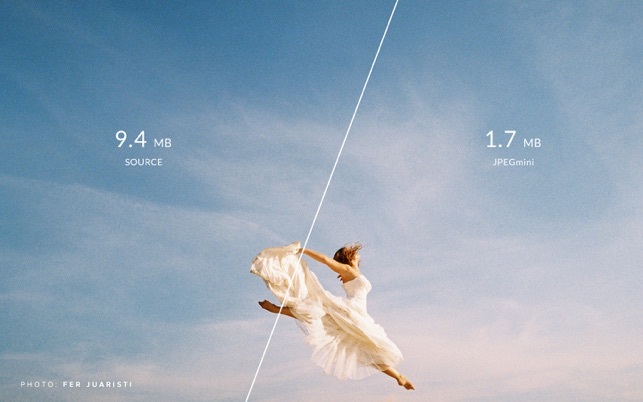 Today, it shaved an 1800-file JPG collection from 3.6GB to only 1.7GB, saving me a LOT of upload time! I wish I could it act as a plugin for Apple’s Photos app, as that would likely save me 10GB on the first day. When JPEGmini first came out, I couldn’t believe the space savings. Years of use have made it a solid part of my photo export workflow. Very, very happy with the results. Not much more to say other than it's AWESOME!